Another member of the family has passed away. 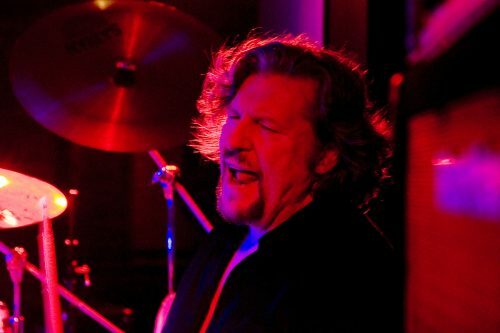 Drummer Ted McKenna, who played with Gillan on Naked Thunder, and more recently was a member of Michael Schenker Fest together with Graham Bonnet and Doogie White. He died unexpectedly, during an elective surgery that prompted a bleeding the doctors could not stop. Completely shocked by the very sad news of the sudden death of drummer Ted McKenna (SAHB, Michael Schenker, Rory Gallagher and many others) who I spent time with only 3 weeks ago at the Cozy Powell Birthday Bash. A lovely guy and great drummer who will be much missed. Thanks to Blabbermouth for the info. Posted by Nick Soveiko on Saturday, January 19th, 2019, filed under News. You can follow comment on this post through the RSS 2.0 feed. You can skip to the end and leave a comment. Pinging is currently not allowed. Sending prayers to Family and Friends!! great drummer..one of the best.. Sad news, I loved his drumming style with Rory Gallagher. 2 things. One, I saw him playing at the Cozy Powell show just three was ago so I’m shocked at the news. Two, I work in Healthcare so the reason for his passing is even more shocking. I wonder what the inquest will say. Where was the “Faith Healer” when he needed him? McKenna and Glen were a great rhythm section. Unfortunately I never got to see them together – only separately. Saw Ted with Gary More and Tommy Eyre in Geg Lake’s band. I absolutely loved his drumming on the MSG Assault Attack album. I can listen to it anytime.. such a tasteful drummer.. this morning not knowing about his passing I felt a need to listen to that album only to find out a few minutes ago he had left us..
RIP……Ted…… Just listen to the great Michal Schenker album ” Assualt Attack…WOW!!!! !